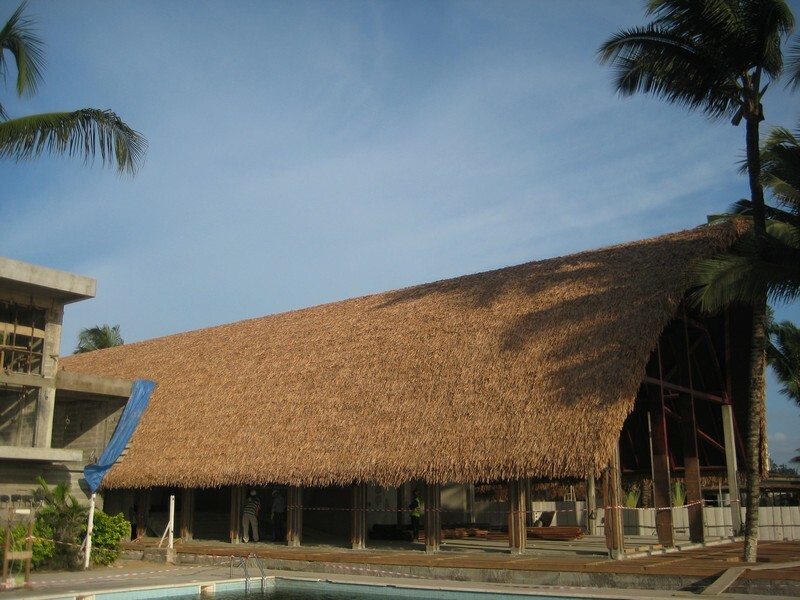 Thatch roofing made by artificial fibers is a very good alternative to expensive traditional thatching. It provides a very natural thatching which looks so convincing that even experts cannot readily tell the difference, before actually touching the roof by hand. 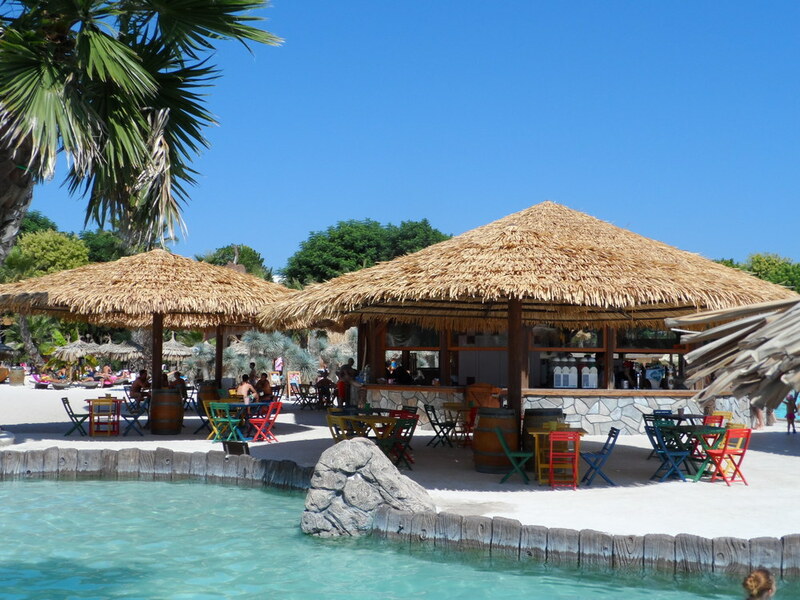 At the same time artificial fiber thatching has a number of advantages: It is not infested by insects or rodents, it does not rot, mold or discolor, and is generally extremely low maintenance. Moreover, the fiber can be installed easily by almost anyone, as one does not have to be skilled in thatch work to use the material. The suppliers of the raw material for the roofing are market leaders BASF and Clarient, and we are therefore confident in providing a 20 year warranty on the products. The product will last +50 years, and is made from polypropylene which is a thoroughly tested material - No toxic PVC is involved. 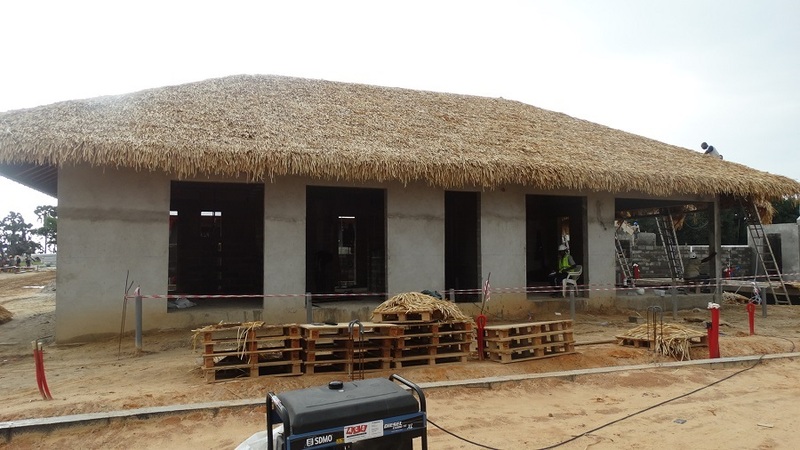 Our artificial thatch fiber has acquired a UL94 Class B fire rating by an independent test laboratory. In practice however, it is the sub roof which determines the fire retardancy of a building. 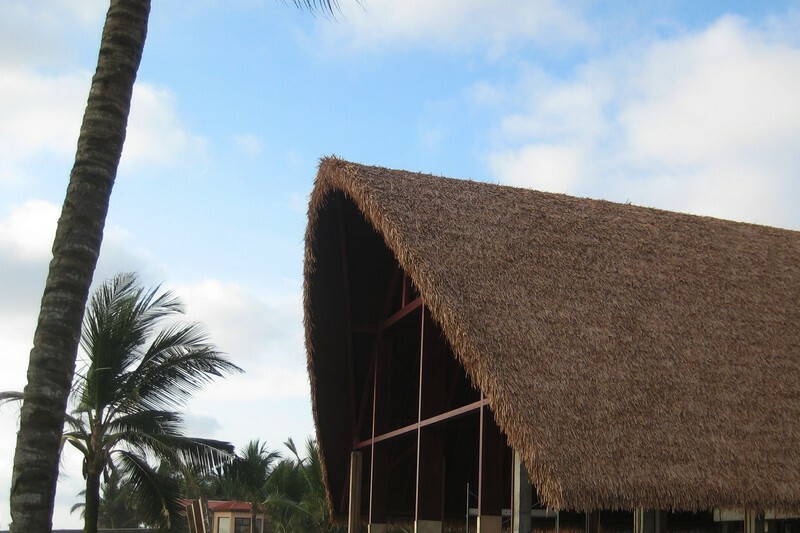 Our artificial thatch is designed to be fitted to an existing roof, e.g. 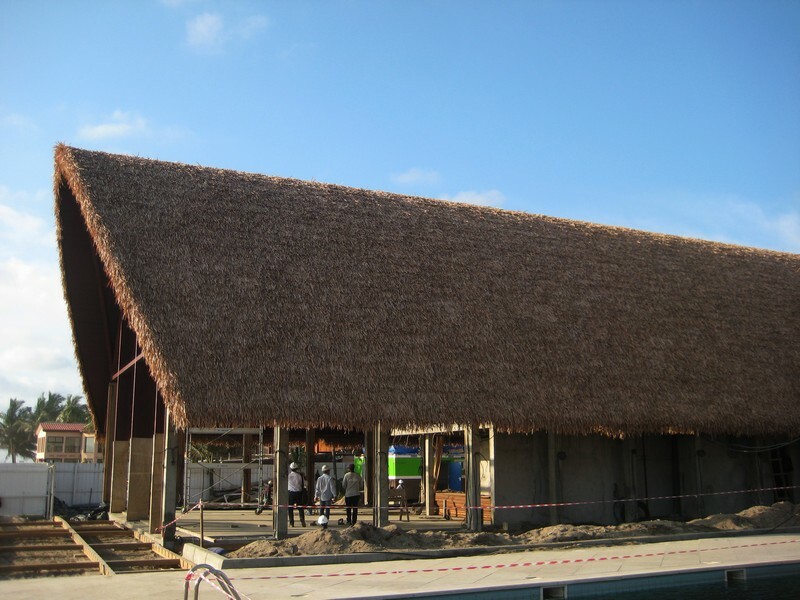 made of steel, and is consequently vastly more fire retardant than conventional thatching.